And I made dessert. 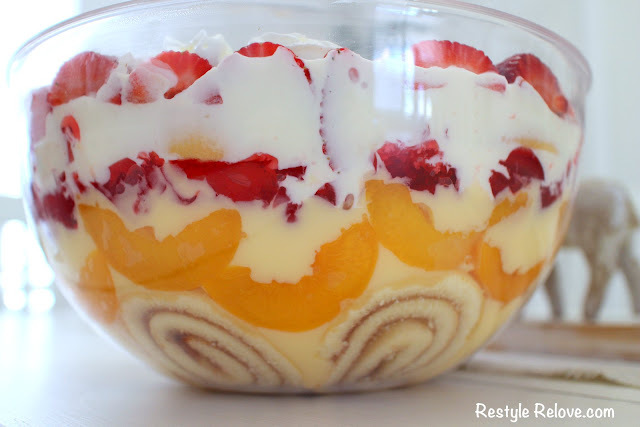 Strawberry and peach trifle. I love making trifles as they are super easy and taste delicious. 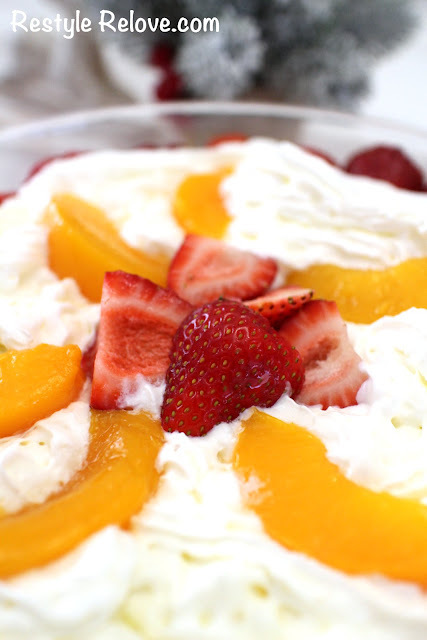 I've never put peaches in them before, but let me tell you, the peaches were perfect! 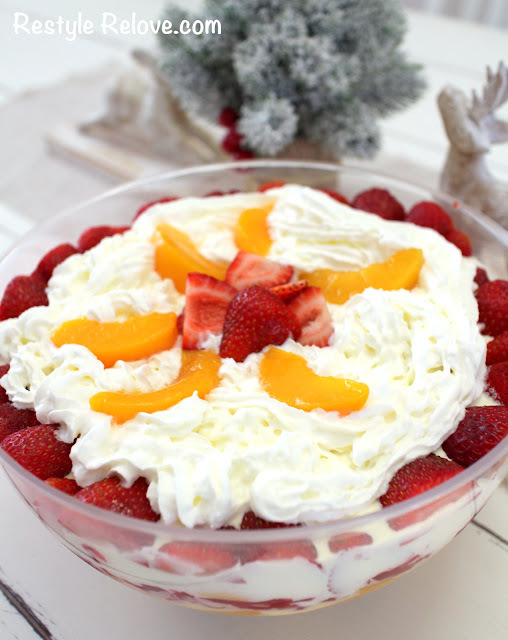 I layered jam sponge slices on the bottom, followed by a layer of drained tinned peaches, then Paul's Extra Thick Custard (my favourite! 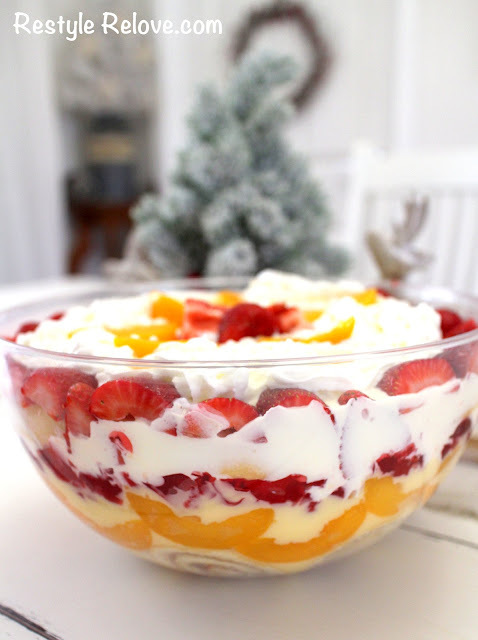 ), then strawberry jelly pieces, thickened cream, and then a layer of fresh strawberries. 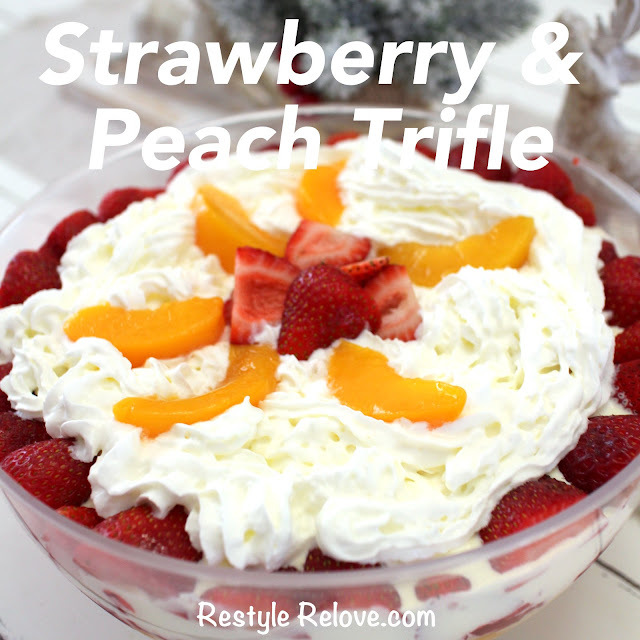 And cause you can never have enough cream, I added a layer of whipped cream and some strategically placed pieces of peach and strawberry on top. Oh yeah, it was beyond good. And it lasted another 3 nights for dessert! 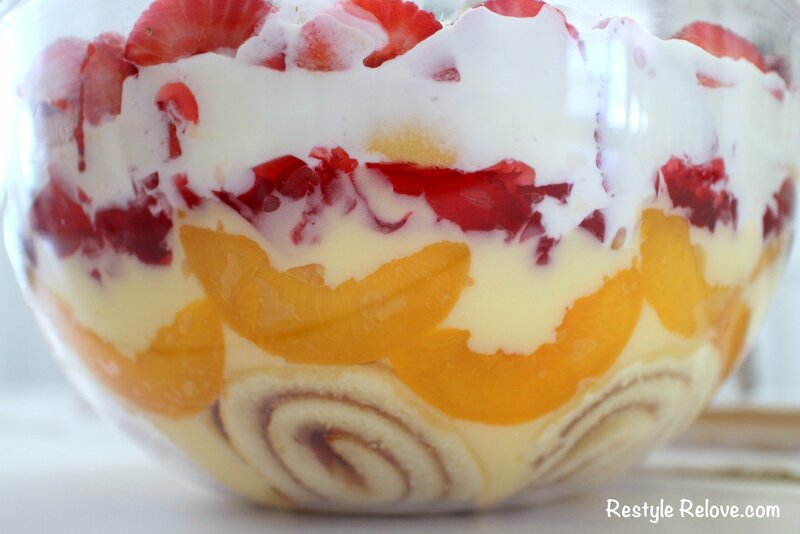 Looks delicious, Julie! I hope you'll come share it at Talk of the Town (new name and new format for the Vintage Inspiration Party).